Radio M0WYE operates mostly with an FT847. This provides multimode capability on 2m, 4m, 6m and 70cm, and access to the HF bands. 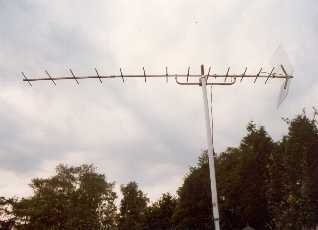 At present some home made vertical antennas are in use. These are mostly monoband "normal mode helical" antennas, and consist of a ~5/8 wave length of wire coiled up a fibreglass rod, about 0.1 wavelengths long. These operate against a large ground-plane under the tiles of the roof. 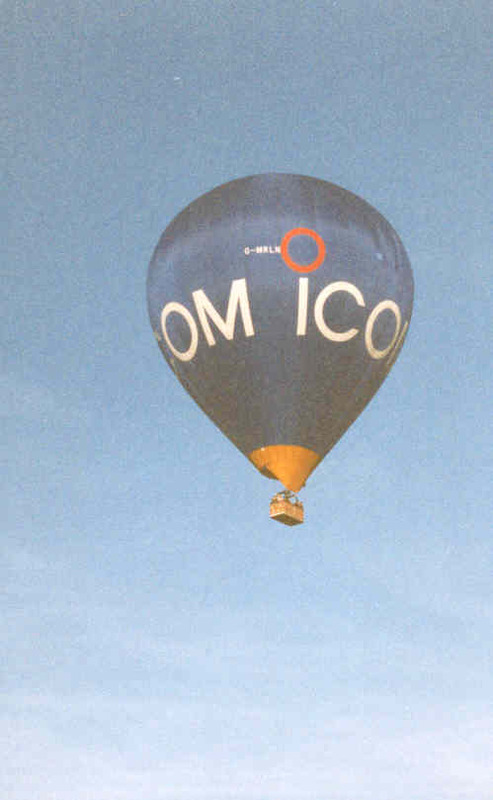 The Icom balloon over Wye. how I made a hands-free set-up for the car here and on the blog. I mostly use GB7AS, our local DMR repeater. I've put up a Diamond X30 Dual Band Colinear for 2 and 70cms. Quarterwave ground plane aerials are used for 4 and 6m. I live close to the North Downs, which tend to block signals in some directions, but I like to turn this to an advantage by operating mobile from the top of the Downs, and I have a 5 element yagi for 2 and a home made 16 element for 70cms. I use Home made HB9CV antennas on 4 and 6m. Home made yagi for 70cms made out of parts from old TV aerials. 2.4m boom - approx. 13dB gain. With G8WMZ and some other local amateurs, we have been activating Willesborough Windmill since 2016. You can read all about it on the GB8WW QRZ page. Read About My experiments with the 136kHz band. I've put up some pictures of my LF antennas and transmitter. - but very much a "work in progress". 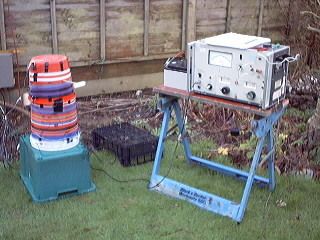 Here the D2006 Selective Level Meter is being used as a receiver to tune the antenna to resonance. The "Dalek" on the left is the base loading coil which incorporates a variometer. You can mail me if you like, m0wye (at) radiouk.com, constructive criticism of the pages will always be welcome. My Nan's collection of 78 r.p.m. Records!